The best rides at Walt Disney World are often called “E” Ticket rides—from the old days, when it took a most-expensive “E” Ticket to get on them. Dining—particularly at certain “table service” restaurants that have offerings beyond the food itself–can be an E-Ticket experience as well! Visits by Disney characters like Mickey, Tigger, or the Disney Princesses. That’s why you’ll find most of these on each of this site’s itineraries. But, because the best dining options have limited capacity and are wildly popular, these restaurants can be filled almost as soon as reservations open for them—180 days before. 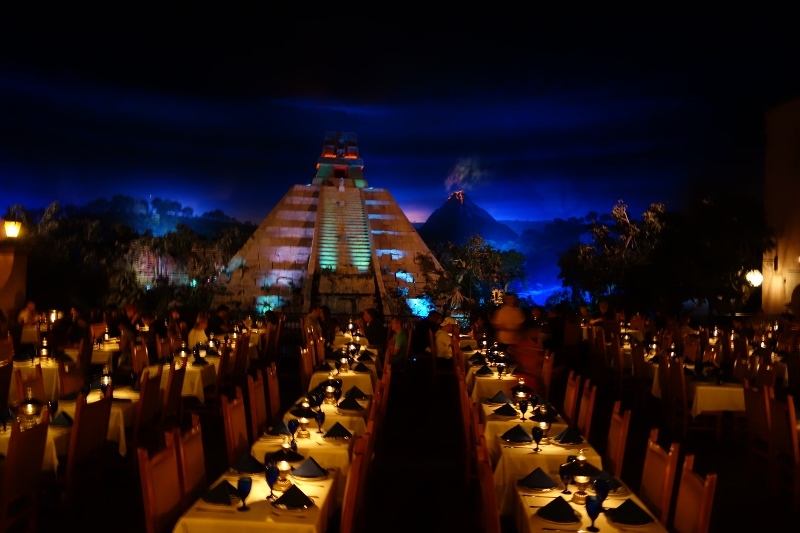 The importance of dining experiences is the Disney World topic that most surprise first-time visitors, and is where their doing some advance thinking and planning pays off most. So you should pick your table service dining choices as soon as you can, and reserve them as soon as reservations open. 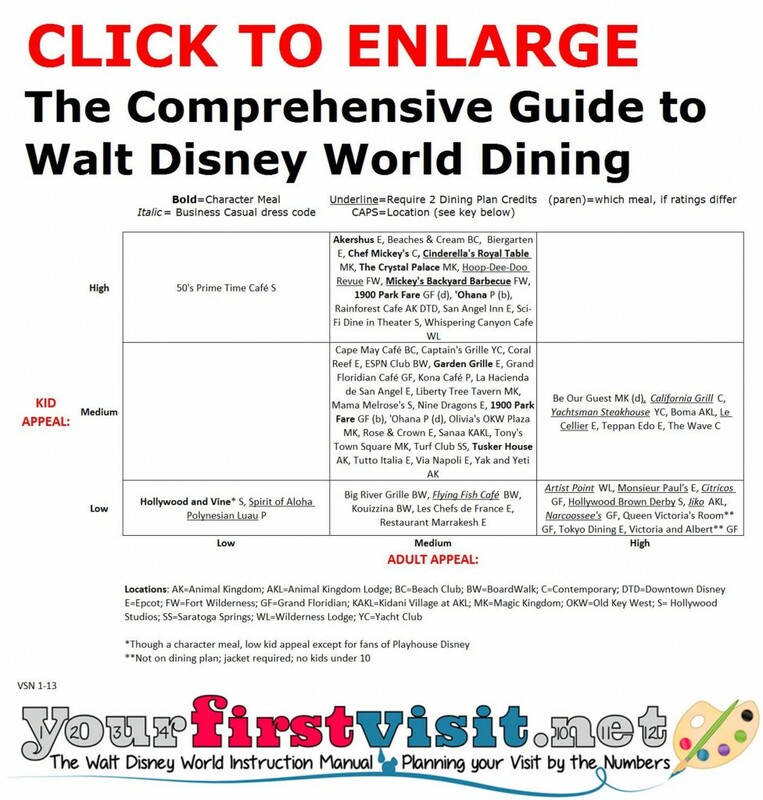 Disney World calls these reservations “Advance Dining Reservations—“ADRs” for short. 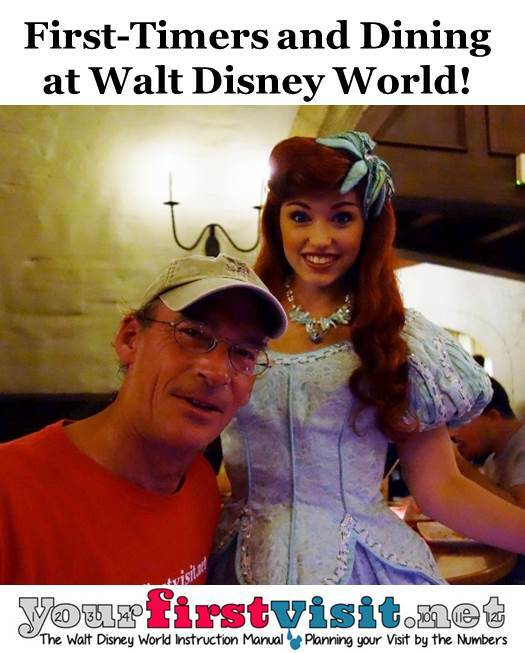 Disney World dining is expensive. The Disney Dining Plan, which has a couple of variants, is a way to prepay some of these dining expenses. Years ago, you could save a lot of money by buying the “Disney Dining Plan,” but at current pricing levels you won’t save much—or anything—by buying it. The Disney Dining Plan is a handy budgeting tool, and it does relieve some anxiety (because you already paid for it…) about the cost of meals in the parks. So I do still recommend it. But with or without it, the typical family should budget about $50+ per adult per day for dining, and somewhere between $25 and $50/day for the kids–depending on their ages and appetites. The best way to save money eating at Disney World is to buy ingredients and build some of your own meals. This works best for cold breakfasts in your hotel room, and packing some lunches and/or snacks into the parks. But these ingredients aren’t cheap (if you have a car, you can hit an off-site grocery store…but that costs time you could be spending vacationing) and may not even be available in your hotel. 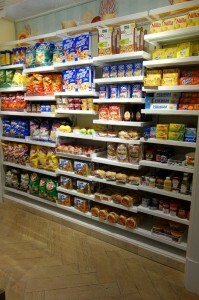 The availability of such ingredients—lunch supplies especially– varies widely across the Disney hotels. 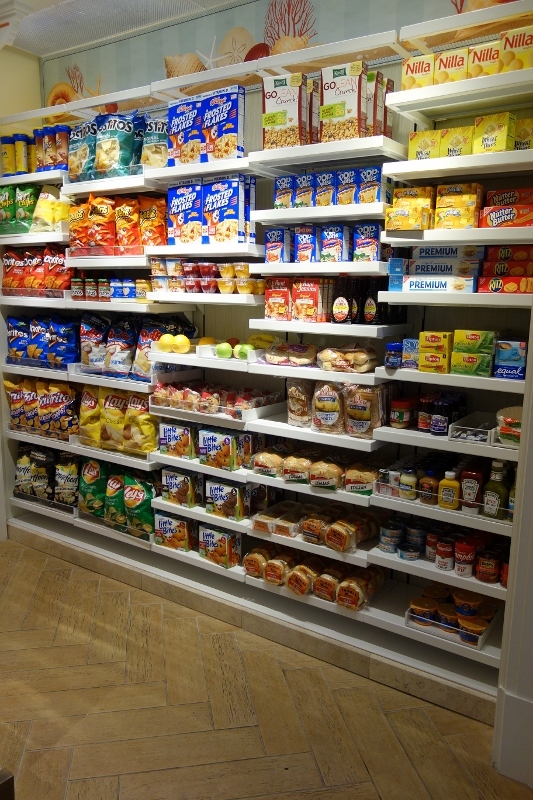 The best selections of such food for sale in shops are found at Fort Wilderness and in the Disney Vacation Club resorts, and the weakest are the value resorts. The example is from a shop at the Grand Floridian after its new DVC Villas opened. 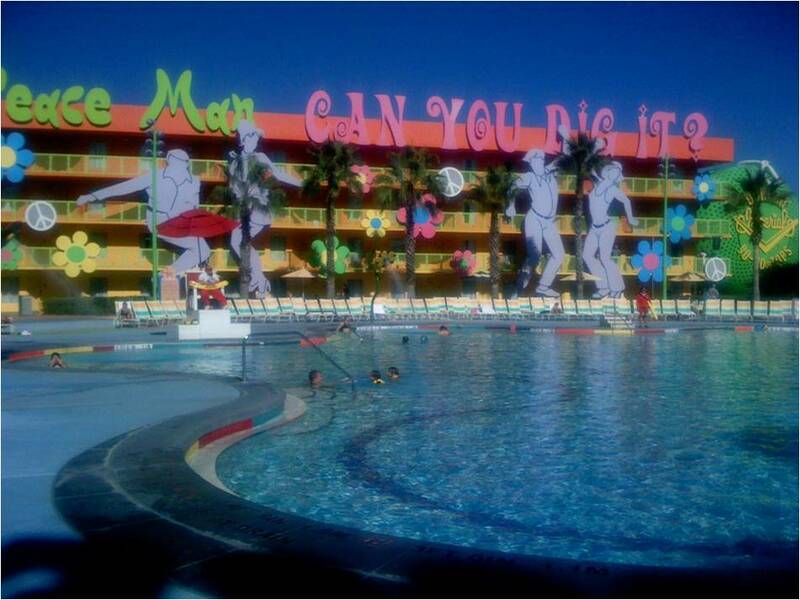 This page brings to one place links to material on this site related to when your Disney World plans should be firm. It’s part of a series on navigating this site. See the links below for more! How Far in Advance Can You Book a Walt Disney World Vacation? I can tell from my search traffic that people are already starting to plan their 2020 Walt Disney World vacations. 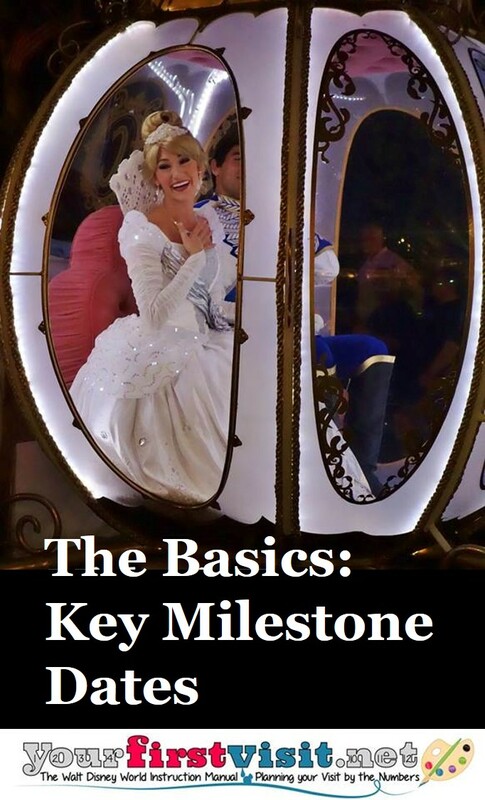 The Walt Disney World website currently only allows bookings through 2019…so how do you book for later dates? Do you have to wait? In late October 2009 the Walt Disney World park calendar shifted from being available for the next three months to being available for the next 6 months. At the same time, restaurants also became reservable six months out. This site’s itineraries and To-Do Lists have been updated, as has its material on how long in advance your plans need to be firm. Your plans should be firm more than 180 days before your arrival date. See this for why. If it is already fewer than 180 days from your planned arrival date, see the items below.